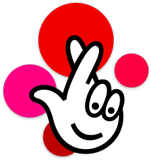 Uk Lotto statistics display data about the drawn numbers for a chosen period of time in an easy-to-read format. You can use the data for analysing and later decision making. Our statistics offer data from the oldest ones up to the most recent ones processed in various lists and formats. How to generate Lotto statistics? By using the set statistics settings panel at the top, the user has the option of choosing the different draws and particular days for displaying inside the statistics. After choosing two different items, one needs to merely confirm the setting by clicking on the green recalculate button. After a couple of seconds, it will generate the re-calculated the details. So all the best from our end for your next draw. This provides information about the percentage of even against odd numbers for a particular period. The table shows the latest drawn main numbers which include the recent draw dates. It is a basic table showing different numbers in a top-down format. One might use the arrows on the table’s header to configure the table as per personal choices. The entire list of the recently drawn main numbers also includes the dates from the recent draws. Similarly, the extra numbers beside the main ones could be put in the similar order. This graph shows the occurrence of both main and extra drawn numbers for a particular period. The user can hover the cursor over the chart’s column, and the system will provide details about the main numbers. This table provides the frequency of the drawn main numbers from the recent draws. Post the draws; the numbers are marked inside the table where each line stands for the number of draws post the most recent draws. The patterns can be utilised to identify the average intervals between the draws of the particular number. It eventually can be used to forecast the possibility of the draw. This list offers main lotto numbers that have usually been drawn in pairs of triplets irrespective of their order. The user has access to the consecutive pairs and triplets which have been drawn on frequent occasions. The basis of the entire list is pretty similar to the previous list. There is only one different, i.e. this graph will show the most common consecutive pairs or triplets of drawn numbers. The table is for the top 5 lottery jackpots that have been chosen for a particular period. The graph shows the evolution of jackpot for a particular selected period. The maximum is 100 recently drawn numbers. Moving the cursor over a particular period displays detailed information.